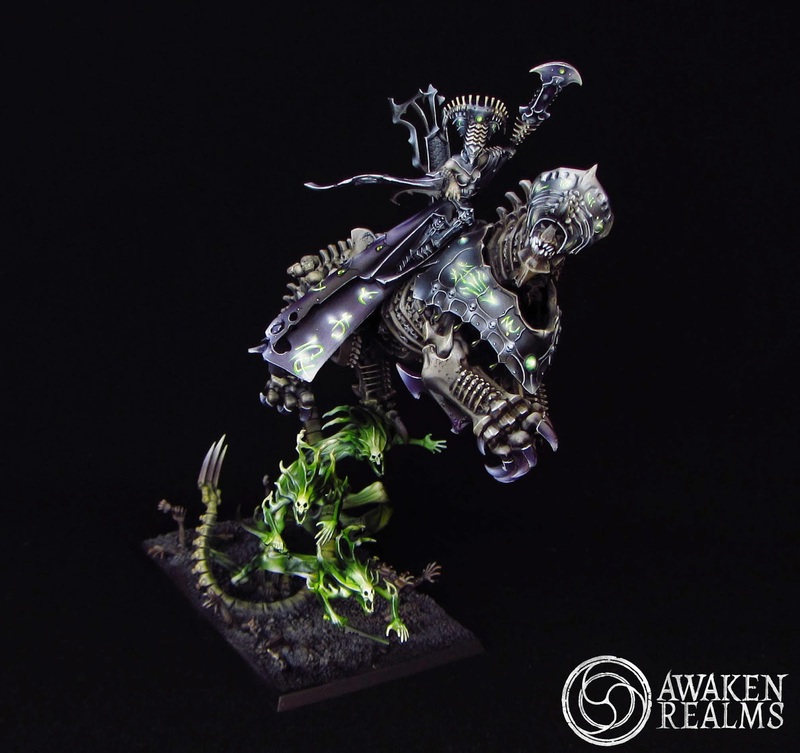 I have been searching for a well painted Mortarch of Nagash for awhile now, and while there have been a few that were pretty cool this is the first one to really catch my eye. Neferata is probably the least seen of the three as well, which makes this model even more interesting. Now I'm not a huge fan of minis that have been, what I call, "over airbrushed." What I mean by that is if you can glance at the mini and know for sure it was painted almost entirely by airbrush. It just seems a little lazy to me. The airbrush is a tool in your tool box that should be utilized, but with moderation. It's the same as people who over rely on washes or drybrushing. This Neferata straddles that line. She definitely leans more heavily towards the airbrush side, but the hobbyist has done enough additional painting on top to help elevate it. Despite that whole rant there, the painting is actually pretty good. It's not the level of skill displayed though that makes this the Mini of the Week for me, it's the color choice and overall atmosphere. It really nails the creepy, undead vibe for me. The glowing runes are a great accent to the dark, purple armor. I think my favorite part is the color choice for her skin and the bone of the beast. It's a kind of dusky, grey/brown. It's something unusual that's not seen often, but really works well with the rest of the model. The Mortarch models are so characterful, it's nice to finally start seeing some eye catching example out there on the web. This Neferata is a great example of a model where the planning, atmosphere, and color choice helped elevate it above others.